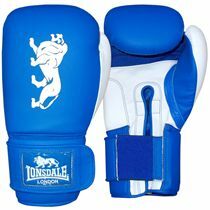 Designed for safe, injury free, strong and effective training and sparring, the Lonsdale L-Core Mk II training gloves with hook and loop feature L-core multi-layer technology providing unmatched shock dispersion and maximum comfort. Thanks to multi layered Closed Cell foams the gloves feel like a natural extension of the hand and have been made from the finest cow hide leather making them extra durable and suitable for punch bag use. The gloves ensure great protection and stability to the wrists and have a double crossover Velcro closure for a secure fit. 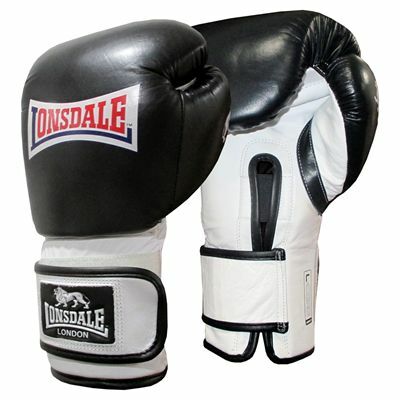 for submitting product review about Lonsdale L-Core Mk II Training Gloves with Hook and Loop.